So, you have a great idea for a website. You are SO excited to get started building that website. But you just can't decide how to choose a domain name. You are stuck. Well, it just so happens that I'm in the exact same situation. 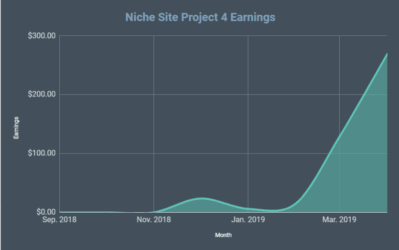 I recently started the Niche Site Project 4, and I'm trying to decide what domain to buy. I've chosen the niche I want to go into, now I just need that perfect domain name! In all honesty, I bought a domain name about a week ago that I thought was perfect. Turns out I misspelled one of the words…doh! And the correct spelling is already taken. Sadly, this is not the first time I've purchased a domain name with a typo in it. (Insert face palm here). Oh well, it was a $10 mistake. Now I'm back to the drawing board. So, step 1…make sure you know how to spell! In reality, I've purchased hundreds of domains in the past, so I hope a few of these thoughts will help you brainstorm and find your next great domain to buy. 1.1 Is a .com Required? 1.3 Keywords in the Domain? From a search engine optimization perspective, long gone are the days where you would want to stuff a bunch of keywords in your domain name. Having keywords in a domain name doesn't really give you an SEO boost anymore. As a result, it's more important to try and find domain name that is brand-able and memorable. Ideally, you will want something that both explains what your website is all about, but is also easy to remember. If you are starting a personal blog, you might consider just using your name as your domain name. For example, I do own SpencerHaws.com, but I've yet to decide whether I'm going to do anything with is. Let me just add a few thoughts regarding the above points. A .com is not required. You can rank just as well using any other extension (.co, .net, .io, you name it). However, the .com is easier to remember for people, and in some cases other websites might be more willing to link to your site if it's a .com as opposed to a .xyz, .tube, or .fun (all of which exist by the way). Gorilla.tube is available if anyone wants it, fyi. You also want to make a sure that the domain name you are buying is “clean”. As you may or may not realize, someone may have owned your domain name 10 years ago and then let it expire. If 10 years ago they used the domain in a spammy way or have thousands of spammy links (think pills, gambling, adult themed, etc) pointing to the domain…many of those links will still be pointing to the website when you buy it. You could have a real difficult time ranking in Google if your domain has a terrible history like that. 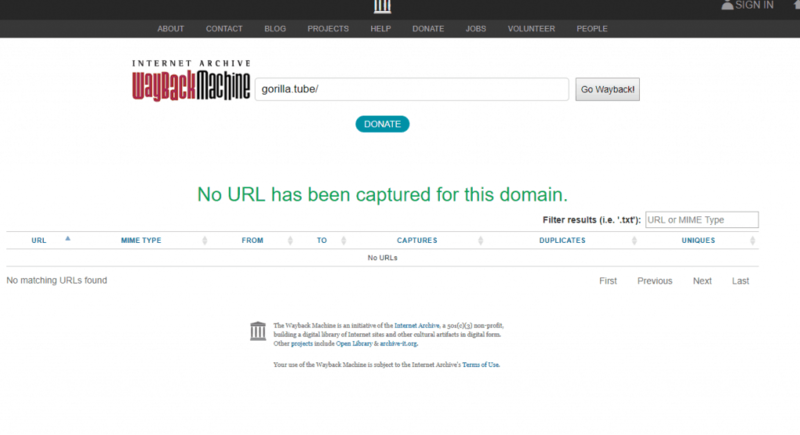 One way to check the domain history is to search on Archive.org, the Wayback machine. This awesome tool has been capturing screenshots of websites since the early days of the internet. If the domain existed, Wayback Machine will have a history of it. Now, if something does show up…don't panic! You still might be just fine. Just click on a couple screenshots and verify that the site looks like it wasn't doing anything “bad”. If you see a record and you are concerned that there might be old spammy links, you should check the link history. My buddy Jon wrote a great piece on how to check the link history on expired domains right here. As mentioned, you don't want to keyword stuff your domain…that's not necessary. But having a one-word keyword or maybe a two word keyword in your domain is okay. 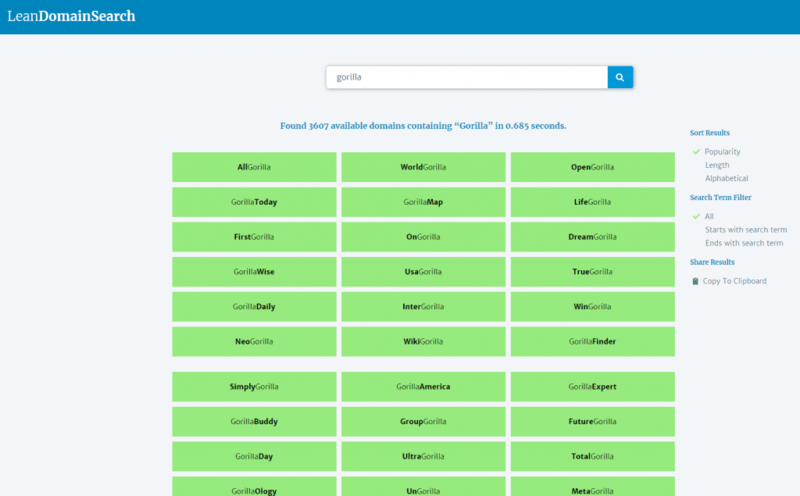 So, if you are starting a blog about Gorillas, you might try GorillaExpert.com or TalkGorilla.com (both of which are available in case you are interested!). Or if you are starting a site about Survival Knives, you might try SurvivalKnifeWorld.com. So, a keyword or two is fine in the domain as long as it doesn't get too long. I don't like domains that are more than 3 words, and 2 words is better. So, BestSurvivalKnifeForTheMoney.com would be a keyword stuffed domain that I would avoid. And honestly, you don't have to have ANY keywords in your domain. Being memorable and brand-able is more important in my opinion. Now that you know what to do when choosing a domain name, I should also make clear of a few things NOT to do. A word that starts with the same letter as the previous word ended in. For example, Gorillaadvanced.com or Advanceddrones.com have 2 letters in a row that are the same. Trademarked words or Phrases. Disney can and will get your website taken down if you buy DisneyGorilla.com. Foreign words you don't know the meaning of. And just for the record, I've broken every single ones of these rules in the past…except the last one. I witnessed ConvertKit.com change their name to Seva.com recently, only to see them switch back to ConvertKit.com after they realized the full meaning of the word Seva. You can read all about that here. And for the record, I like the domain ConvertKit.com way better than Seva.com anyway, since it follows one of my rules I outlined earlier: Try to have a domain that makes it obvious to your audience what your website is about. ConvertKit speaks to their core product, Seva did not. And yes, I've received a cease and desist order from an attorney on very official letter head asking that I take down one of my websites. Fortunately, it was a tiny little site from several years ago that wasn't really making any money anyway. But I learned my lesson…also avoid trademarked phrases. 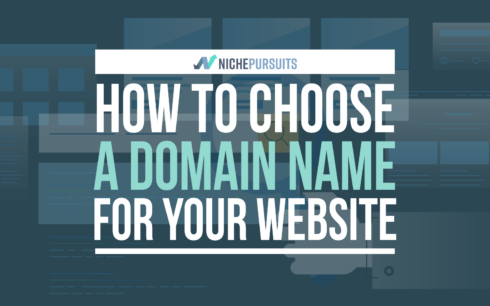 Up to this point, I've shared my tips for Dos and Don'ts for how to choose a domain name for your website. But what if you are still stuck? What if you can't just magically stare at a blank screen and the perfect domain name magically appears? Well, there are a couple of great domain name generators that might be able to kick off some ideas for you. My favorite is LeanDomainSearch.com. You just type in a word or two, and it will automatically pull back domains that are available for registration. Another domain name generator is Panabee.com. Another domain name generator worth looking at is InstantDomainSearch.com. 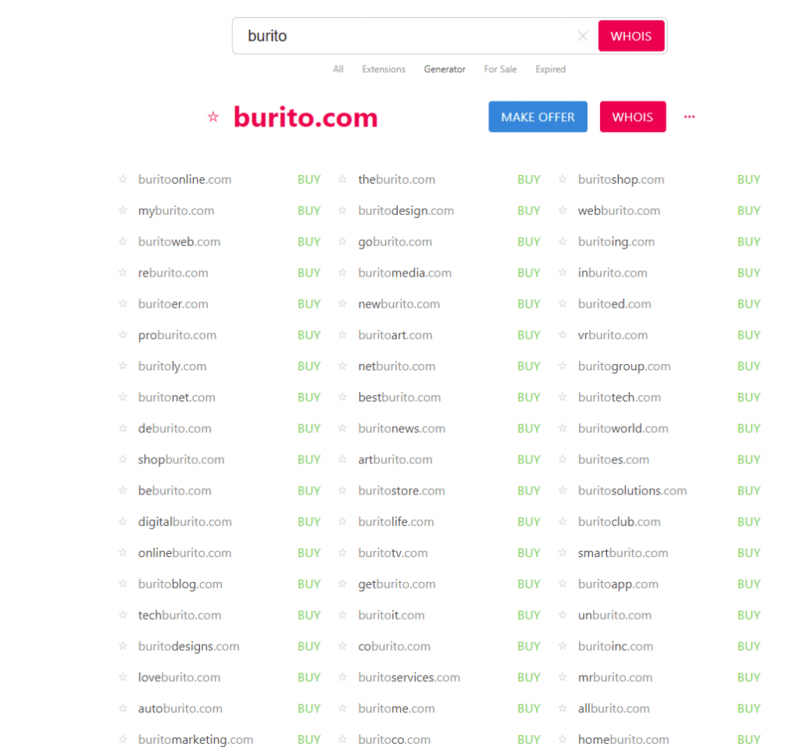 How is BurittoShop.com and DigitalBurito.com still available? Someone should grab those before it's too late! You can find several other Domain Name Generators out there as well with a quick Google search. Overall, I hope you have found some of this useful as you navigate through deciding what domain name to buy. Learning how to choose a domain name for your website or blog is important! At the same time, you don't want to spend forever just mulling over all the options. Do you best to follow the guidelines that I've given above, then just pull the trigger and buy one! 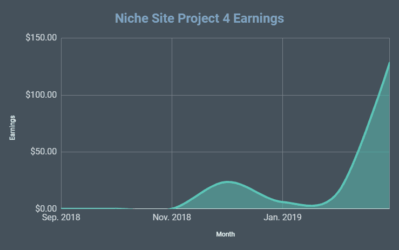 In fact, after starting this blog post…I have now purchased my new domain for Niche Site Project 4! And yes, I spelled all the words correctly this time. :). So, I'm all set now and ready to start building my site for the project. Are you? Get your domain, then focus on the more important part…actually building your website and business. Good luck! Thanks for taking on another project! I’m really looking forward to it. As you probably know, Google released a HUGE update the beginning of this month which seemed to focus on YMYL websites. Google is, of course, putting an emphasis on expertise, authority, and trust when it comes to certain sites that involve health or finance. The focus seems to be on the author of the content and their credibility. 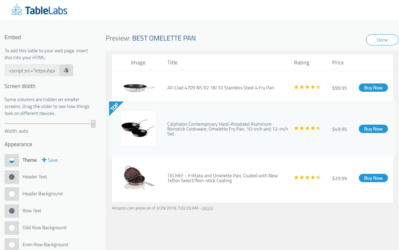 While your new site may or may not be considered a YMYL site, it will be interesting to see you incorporate an EAT strategy into building the site. Do you plan on discussing this? Perhaps this would make a great topic for another blog post? Yes, Google had a major update as you referenced. And yes, as I dive into how to set up your site and produce content, I’ll have a post on the topic. Free tips: One thing I do when trying to think of a brandable domain name is to think about the main words associated with my niche then think about other existing brands/businesses/sites that might already exist and see if I can make some sort of play on words. 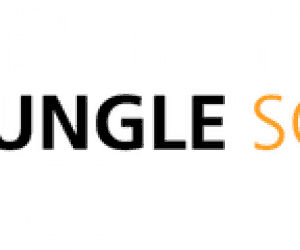 For example – I wanted to start a blog in the internet marketing niche and somebody had already taken smartpassiveincome.com – so I bought dumbpassiveincome.com! You see what I did there? It’s totally opposite and doesn’t really make sense – but it’s also kind of funny and memorable. The best article in NSP4 series. Just love you man, Spencer. You are doing really great. Hardly waiting for your next episode. Thanks from my heart. I was always confused to choose domain names. Like to add keyword in that or not, add number or not, having dash ‘-‘ is ok or not etc. Also, if .com is not available can i go with .net. etc etc. Seems this guide will clear my confusion at very much. Thanks a lot for the post. I’m closely following NSP 4.0 and received your email about the domain. It made me chuckle that you actually misspelled the domain name and openly accepted it. This is one of your beat “tips and tricks” articles ever. Especially sharing that you made a spelling kerfluffle in the past (who among us has not? LoL). One thing guys and gals agonizing over the stress if finding just the best website name should consider is, look frather to the most popular websites and think about their names. Google, for example? What the heck is a “Google” or what does it do? Beats me but it’s perhaps the richest website in the world. A “Googol” is a number 1.0 followed by 100 zeros, giving the idea thateventually the site would be about giant numbers and huge quantities of data. (and it sounded cool). “What the heck, sounds the same, easier to spell, and we have a search engine and company to build, so let’s get too it”. First things first, I’m following almost all of your niche site projects for a long time, so I’m a big fan of your content. I personally believe that all good domain names are taken. Either you’ll have to shell out thousands (if not millions) of dollars to get a really good domain name or you’ll have to think out of the box to come up with your own domain names (such as Buffer, Zerodha, Asana etc). That being said, one should also consider their brand before picking a domain name. If you’re just building a niche site, it’s okay to find a domain name that has related keywords in your niche. But if you’re going to build an authority site, you’ll have to come up with a ton of ideas, take help, use auction sites etc to choose a domain name. But if you’re just starting out with a limited budget, you can use domain name suggestion tools like Domainr to easily come up with a ton of domain name ideas within minutes. Thanks for the tips Spencer. This post came right on time as ive been searching for domain names for niche today!!! Oops, I broke this when I purchased my new domain, but I guess breaking one our of your 7 things to avoid is still okay, right? Spencer, Thanks. This is amazing, I have been searching for domains manually on Godday search. Those tools make it very easy to spot a good brandable domain. 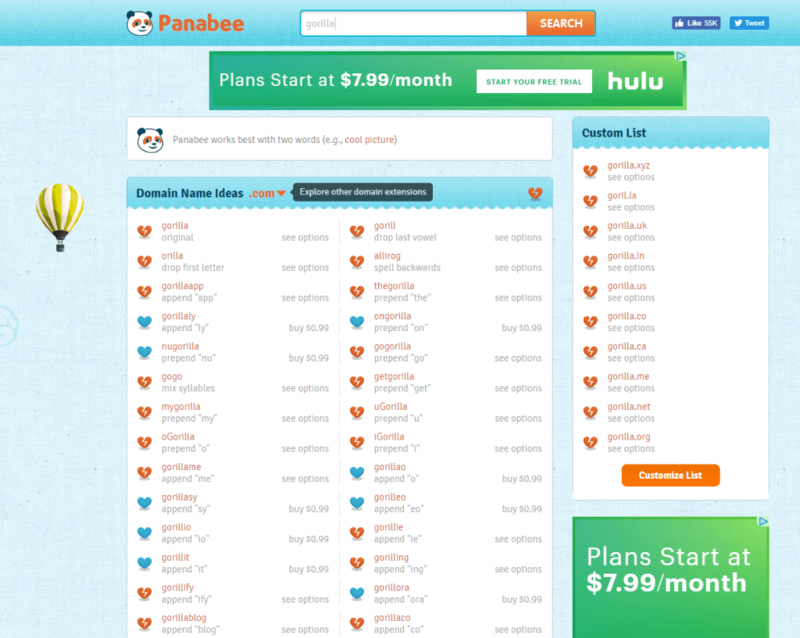 I have just got several good brandable domains using Panabee. Awesome tips Spencer. I had a website that did well (I sold it) that contained the keyword in the domain name. I have had domain names without the keyword in the name and those did well also. Not having the keyword in the domain name is my preference since it may allow me to expand the site to other related verticals without confusion. For example, your Gorilla domain would limit you to Gorillas whereas PrimateWorld would allow you to initially write about gorillas but you can later expand to monkeys, orangutans etc. Thanks for letting me add my 2cents. Looking to forward seeing more articles. A good domain name goes a long way. Congrats! Spencer. For me, I am still working on the keywords – topics to write about. Compiling a list. I hope to complete it soon. I haven’t heard the Seva story, thanks for the heads up. I’ve been following Nathan Barry, and ConvertKit quite a while, I am a bit surprised he made it that far into the rebranding process, only to retract everything. If Namebio is accurate, just the domain name cost around $310.000, purchased on July 15th, 2018. Oh, interesting info! I’m guessing that is accurate. Costly mistake for them. Well, after a lot of research and domain searches, I finally found a two-word keyword combo that I love – and that doesn’t break any of your rules! Thanks for all of this. Thanks again for all you’re doing Spencer! 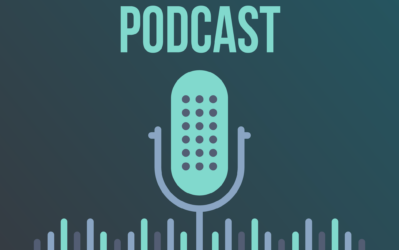 (And I was so happy to hear that the podcast is back!! I love it! Great! Yes, I’m sure you can find a creative workaround for Instagram. Thanks! Out of curiosity, how come you don’t use tagging for the posts? Just creates extra pages on my site I don’t need. 01. When purchasing a domain, is there a way to see if there are any spammy links pointing to it? wayback machine just shows the screenshots and what is on the surface. 02. Out of curiosity, how come you don’t set the links in your articles to open in a new tab, with a target=”_blank” attribute? 03. I totally agree with you, to focus on the actual website instead of the “perfect” domain name. Its like having the perfect business cards for a non existing business. 1. Yes, link analysis tools like Ahrefs and Moz, etc. 2. Because that’s annoying usually. Nice list of Domain Generators. I would also add DomainTyper to the list. Instantly generates thousands of available domain names as you type. Spencer, inspiring article. I wish I read your article years ago. I still vividly remember the days I paid $150 for a not-so-great domain name. I could have get a much better one if I read your blog earlier. However, after several years, I have been running a successful blog and co-founder of a successful company. I like the way you generously giving out information without expecting anything in return. I would love to interview for our new blog post titled Successful bloggers list. Please let me know if you could spare a few minutes? Thanks. Thanks Joanna. Go ahead and use my contact page. 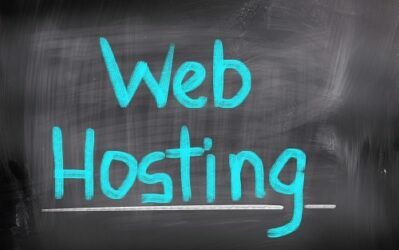 Nowadays, choosing the right domain name for your website has become more difficult than a few years ago. Many short and brandable domains are already taken and also domain brokers register potential domain names to sell them to website owners for lots of money. However, with some creativity it’s still possible to find great domain names that are available. My favorite is lean mean domains search. Also actually most projects I started were using expired domains. Google it — there is a few services which have databases of expired domains for free. You can catch some really good ones this way. My problem is that I actually really enjoy finding website names that are clever/funny etc. and end up with too many! Now I have a big list to try and choose from. I even love keyword research and could do it all day long. I think rather than start my own website I need a job that allows me to do those two things full time.